Women who had their feet bound according to feudal Chinese tradition are more prone to osteoprosis but their enhanced balance skills mean they do not have excessive fractures, a study has found. 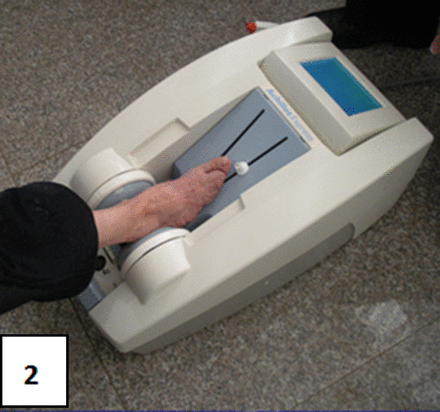 A review of more than 250 elderly women who had bound feet by researchers at Kunming Medical University found that they had higher rates of osteoprosis than women of similar age. However they did not seem to be in worse health or be more prone to fractures, the study found. "This might be explained by compensation in physical activity to improve body balance, implying the importance of improving or maintaining body balance in overall prevention strategies against fragility fractures," the researchers said. The renowned Beijing Tianlun fertility hospital has trademarked its name after finding that other hospitals around China were setting up 'Tianlun' fertility clinics and claiming to be affiliated to the famous clinic. A Jiangxi endocrinologist has been called to provide emergency inflight medical help to the same woman twice in a month, according to CAAC News. The doctor treated the women on a flight to Thailand after she fainted. On the return flight he again answered a call for help and found he was helping the same woman with the same problem. The Henan government claims to have re-trained almost 10,000 doctors to work as family doctors in community clinics and township-level hospitals. The government said the re-training program meant that Henan could not make family doctors available to 60% of people in rural areas and 100% of people in urban areas. The Guangdong city of Huizhou says it has got 30% of target patient populations to enrol with a family doctor. The city health authorities want to arrange GP cover for children under five, pregnant women, the elderly and people with chronic diseases. The authorities say they aim to have 50% of people enrolled by the end of the year. Serious disease insurance cover to be nationwide. China's minister for social security has said that his department will fully introduce nationwide social medical insurance for serious diseases within the year. However, critics have saod that hospitals will use the cover to claim rebates for unneccessary treatments while local governments will not have the finances to support the scheme. Meanwhile a group from Renmin University in Beijing have suggested that micro-credit schemes be used to give poor rural people access to funds to pay for their medical bills. The scheme would operate in the same way as micro-credit programs running in developing countries to provides funds for business startups. The staff of local family planning departments may move into child development work and away from enforcing the single child policy, if a pilot program in Shaanxi is successful. The program sees family planing agency staff assisgned to follow up children up to the age of three to ensure they are meeting basic development goals in care and education, according to Caixin. 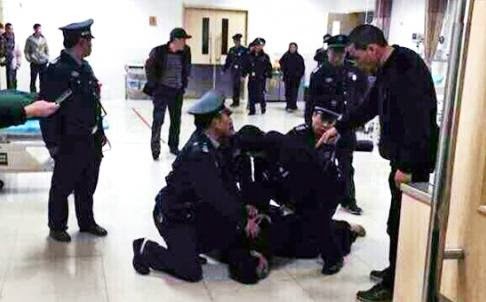 Zhejiang: An armed man opened fire in a Zhejiang hospital and had to be disarmed by police after he injured one man and threatened patients and staff in the Haiyang country hospital. Shanghai: A drunk man took a hostage at knifepoint at the emergency department of Shanghai No. 9 People’s hospital yesterday morning and injured a policeman who intervened. Hebei: a gang armed with machetes smashed up the emergency department of Baoding Hospital and severed the hand of a man who was being treated for minor injuries from an earlier attack. The man had been involved in an earlier altercation with the gang and they had come for payback, police said. Liuzhou: a man got 10 days administrative detention and was fined 200 yuan for attacking a female doctor at a Liuzhou hospital. The man hit the female doctor because he was unhappy with the treatment his father was receiving for a bladder problem. Beijing: A patient with a grudge over hand surgery assaulted a surgeon at the Jishuitan Hospital. The patient had previously had eight stitches in his finger and was unhappy because it did not bend the way it did before the injury.